- Crude oil price formed a short-term top near the $64.15 level against the US Dollar, and declined. - There was a break below a major bullish trend line with support at $63.55 on the hourly chart. - Recently in China, the official non-manufacturing PMI for Feb 2018 was released by China Federation of Logistics and Purchasing (CFLP). - The outcome was below the forecast of 55.0 as there was a decline in the PMI from 55.3 to 54.4. Recently in China, the official non-manufacturing PMI for Feb 2018 was released by China Federation of Logistics and Purchasing (CFLP). The market was positioned for a minor decline from the last reading of 55.3 to 55.0. However, the actual result was below the forecast of 55.0 as there was a decline in the PMI from 55.3 to 54.4. Moreover, looking at the NBS Manufacturing Purchasing Managers Index (PMI), there was a decline from the last reading of 51.3 to 50.3, whereas the market was looking for 51.2. At the moment, crude oil price is under pressure and it may decline further below $52.50 in the near term. 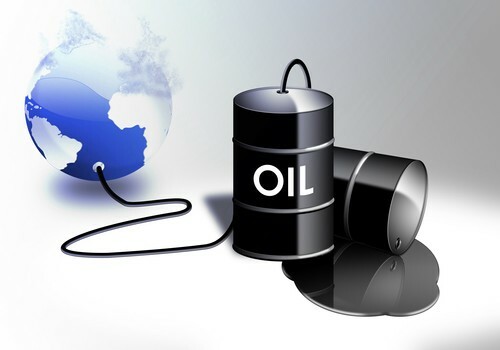 There was a solid upside move in crude oil price this past week above the $63.00 level against the US Dollar. The price traded above the $64.00 level and formed a high at $64.15. Later, a downside move was initiated and the price declined below the $64.00 support. During the decline, there was a break below the 23.6% Fib retracement level of the last wave from the $60.68 low to $64.15 high. Moreover, there was a break below a major bullish trend line with support at $63.55 on the hourly chart. At the moment, the price is trading below the $63.00 support and is testing the 50% Fib retracement level of the last wave from the $60.68 low to $64.15 high. It seems like it may soon break the $62.50 support level and decline further. On the upside, the $62.80 level is a key resistance since it is near the 100 hourly simple moving average. The price has to move above the $62.80 and $63.00 resistance levels to move back in a bullish zone.